Some of you might be familiar with the music identifying app Shazam, which identifies songs by “listening” to the music and then matching what it hears with its vast database. Later this summer, Princeton University Press will be releasing a new app called BirdGenie. BirdGenie is like Shazam, but for bird songs — just hold up your smartphone, record the bird song you hear, and BirdGenie will identify it for you. The app has a 90 percent accuracy rate and will consist of two versions — eastern and western with 60 songs on each. After a while, more songs will be added to the app’s repertoire. BirdGenie will be compatible with Apple and Android devices and sell for $2.99. You’ll be able to keep a log of all your recordings, learn about the species the app has identified, and add comments, photos, and other information to share with friends on social media. No internet connection is needed for the app to work, which I’m really looking forward to, since I use an iPad (without a network) and don’t have a smartphone. I would use so many more bird/birding apps in the field if they weren’t so dependent on WiFi, so BirdGenie has me very excited about this feature. To be notified when BirdGenie is up and running, sign up for the newsletter, follow them on Twitter @BirdGenie, or “like” them on Facebook. I’m really looking forward to this app, which I’ve been offered from Princeton University Press, and will write a full review of it once it’s released. 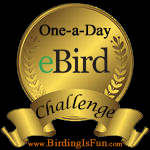 This entry was posted in Bird Identification, Birding, Birding Apps, Birding Items, Blogging, General Birding, Young Birders and tagged Bird Identification, BirdGenie, Birding Apps, Princeton University Press. Bookmark the permalink. I can’t find the bird genie app on the canadian app store. Is it available in Canada? Hi Scott, BirdGenie has not been released yet. When it’s out, I’m hoping to review it on my blog.